The Suffolk market town has been chosen as the host venue for the Grand Depart on Monday 10 June. The opening stage will take the riders on a 98 mile route across the northern and central parts of the county, taking in places like Framlingham and Bury St Edmunds along the way. The stage will finish in Stowmarket, where fans are expected to line Ipswich Street to watch the final sprint unfold. 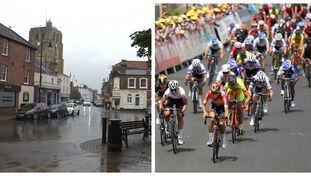 The Women’s Tour is estimated to have attracted in excess of 250,000 spectators to Suffolk in its previous four visits, and has boosted the economy by around £3.5 million. It's thought that 96 of the best female cyclists in the world will take part in the 2019 edition which has been extended to six days. “I am delighted to unveil the route of the 2019 Grand Depart in Suffolk, especially given the amazing response generated by the announcement of our return to the county last month," Women’s Tour Race Director Mick Bennett said.